Space travel, the next frontier, has largely been a governmental expedition to this point in history. SpaceX and its founder Elon Musk are working to privatize this process and successfully transition space travel and exploration from governments to the private sector. Elon Musk not only is heavily involved in privatized space exploration, he is also paramount to the success of Tesla Motors, a company which Elon initially invested in and became a chairman of. Shortly after the financial crisis of 2008, Elon Musk assumed the position of CEO as well as product architect, both positions he still holds today. Before joining Tesla Motors, Musk had headed out on his own as an entrepreneur, starting up Zip2, a web software company in 1995, and he also created X.com, an online financial services and email payment company, in 1999, which was bought out by the company which started PayPal. Elon Musk is a leader in the modern business community, flexible and adaptable to his surroundings. Evidence of his leadership Elon Musk secured investments from Google, and Fidelity to the tune of $1 Billion, a sum which amounted to roughly 10% of SpaceX’s ownership. The recently acquired funding will be used to support continued innovation in the areas of space transport, re-usability, and satellite manufacturing.This valuation of $10 Billion for SpaceX, brings about an exciting new time for space travel and exploration. A portion of this partnership will include building a global network with Google, to provide a Satellite-based internet system, able to reach the far corners of Earth. As a private company SpaceX has been able to push into territories typically segmented off by government regulation. Musk believes that through privatization space travel can become affordable, efficient, and exploratory; reaching out further than any space travel to date. At SpaceX, they have developed efficient rockets such as the Falcon 9, and are in the process of unveiling the Falcon Heavy. The Falcon Heavy upon launch will contain double the payload and launch capabilities of any Rocket on the market currently; while reducing costs and creating sustainability. SpaceX has also developed a spacecraft named Dragon, which is capable of carrying 5,000 pounds of cargo, or up to seven passengers. In September 2014, the Dragon spacecraft successfully carried a full cargo load to the International Space Station, delivering supplies, and lab equipment to the Astronauts. One of the main goals of SpaceX is to create renewable, recyclable, affordable space travel. While the Falcon rockets have successfully completed a drop of cargo to the International Space Station, Elon see’s SpaceX and space travel’s future in carrying passengers safely and efficiently. 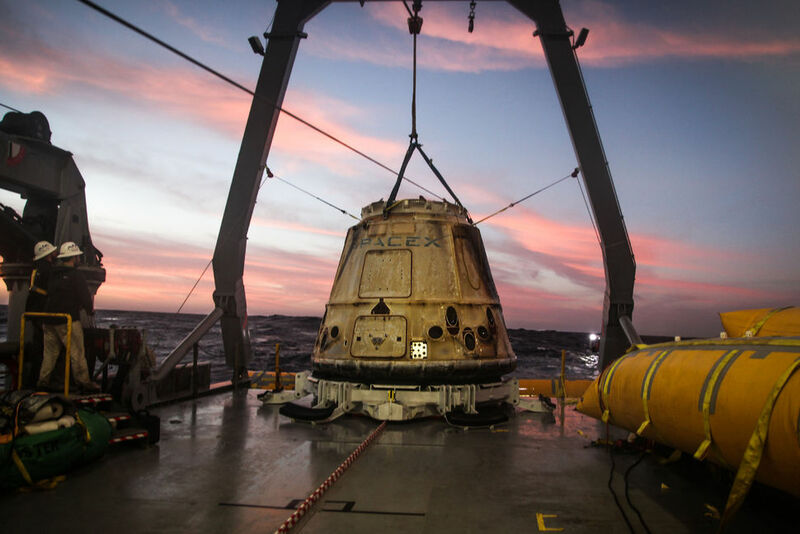 SpaceX recently partnered with NASA in September 2014 to carry passengers in addition to cargo into space via their Dragon spacecraft. This program is called, Commercial Crew Transportation Capability in which SpaceX was awarded a $2.6 Billion contract from NASA. SpaceX is proud to create a viable alternative to Russian space travel, which the United States has been relying on since NASA decommissioned the Shuttle program. SpaceX has created an identity in the field of privatized space exploration. Guided by the leadership of its founder Elon Musk, SpaceX looks to redefine space travel; utilizing ideas such as recyclability, efficiency, affordability and access. Elon Musk is applying groundbreaking principles to the industry of space travel. SpaceX has begun this process by partnering with NASA and already has successfully completed multiple launches. 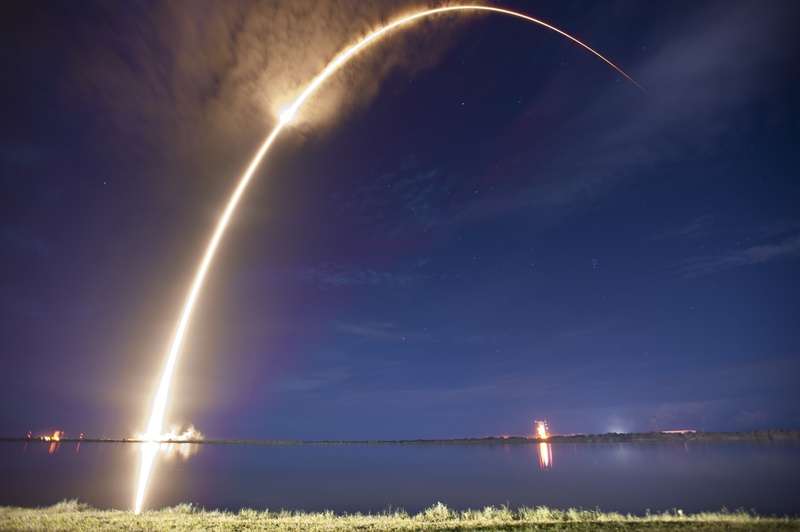 SpaceX, much like it’s founder Elon Musk, believes that boundaries only limit scientific capabilities and, through its goal to privatize space flight, has emerged a burgeoning leader in innovation, space flight, and exploration.